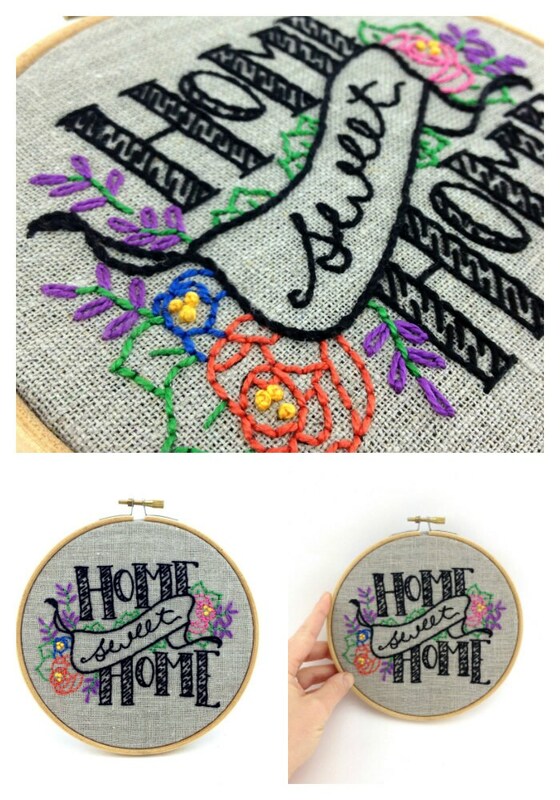 Embroidery kit - Home Sweet Home! 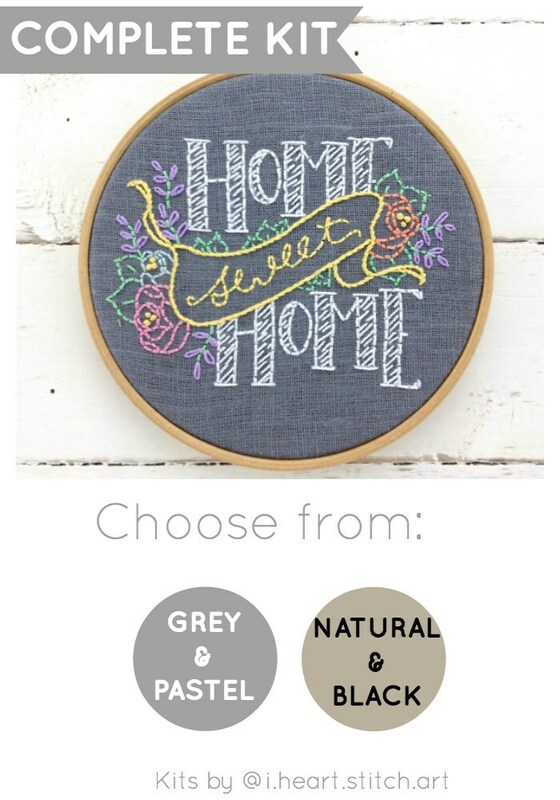 This modern embroidery kit features the ever-meaningful phrase, Home Sweet Home in a DIY embroidery pattern! 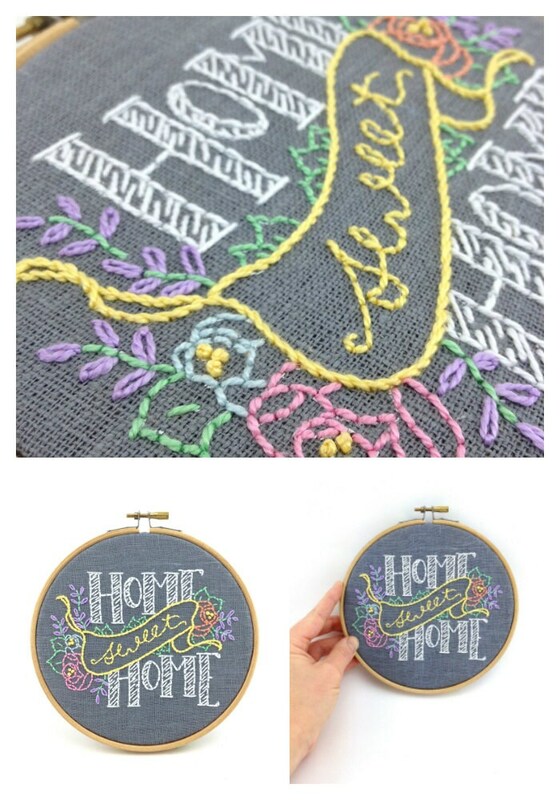 This kit is the perfect way to learn hand embroidery while stitching up a sweet housewarming gift - or a meaningful piece of wall art to warm your own home. This embroidery kit contains everything you'll need. Beautifully packaged, I can’t wait to complete this adorable piece! This is a very doable project, especially since I haven’t worked on crafts for awhile. The instructions are clear and the packaging so cute and organized. I appreciated the communication from the artist regarding my shipment. I highly recommend this shop and product. Looks like just what I want. I'm going on a trip later this week, and I think I will take it with me to work on. Simply the most adorable kit ever! 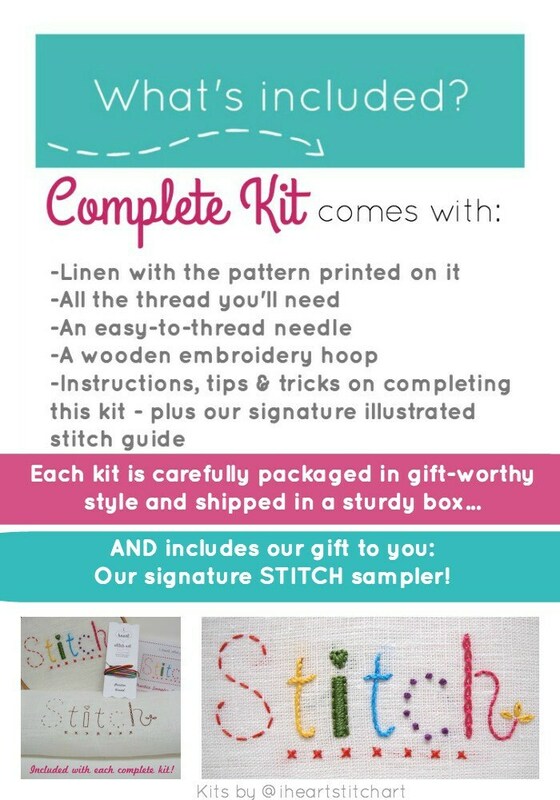 Perfect starter for the beginner, directions/stitch instructions included are very helpful and easy to read and understand. Practice fabric and threads too! So adorably wrapped that I left as is to give as gift. Shipped quickly and arrived fast. Will definitely order another soon. Thanks so much!